No, you won’t find a major exhibition of Howard Pyle’s work at the Metropolitan Museum of Art in New York - for that you’ll have to go to Chadds Ford, Pennsylvania (RIGHT NOW! ), Wilmington, Delaware (starting November 12! ), and Stockbridge, Massachusetts (next year! ), where his work is genuinely appreciated. Trapped somewhere in the bowels of the Met, however, are a couple of Pyles from The Wonder Clock, acquired in 1926, when his stock was still pretty high. 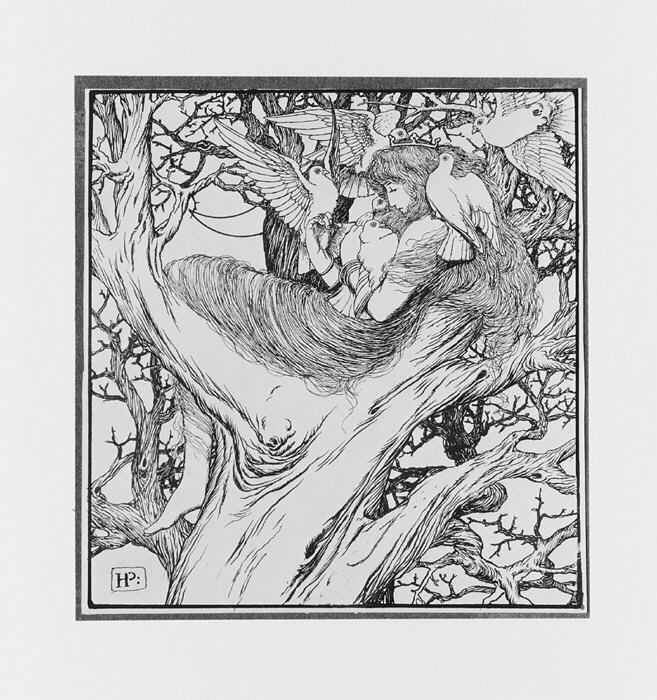 The drawings are rarely - if ever - seen by the general public, but the museum has done something good with six of them: they’ve posted high resolution scans on their website, so we can really inspect them, instead of relying on the just-OK reproductions in various editions of the book. 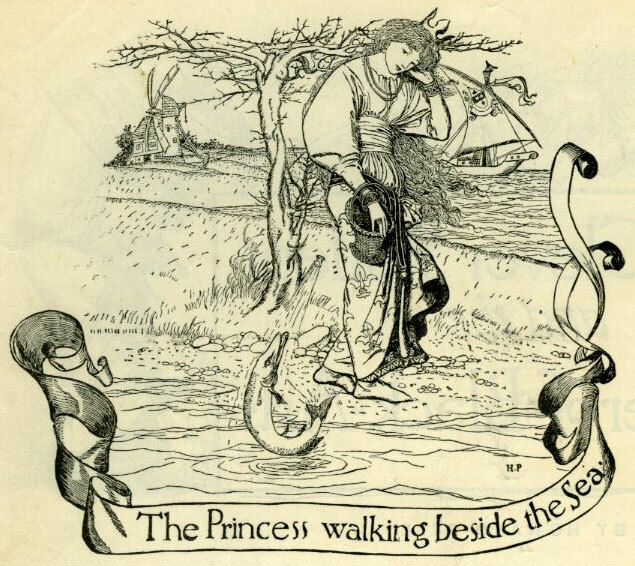 I would’ve liked the drawings to have been scanned in color to better see Pyle’s alterations, but it’s possible to detect some here and there. 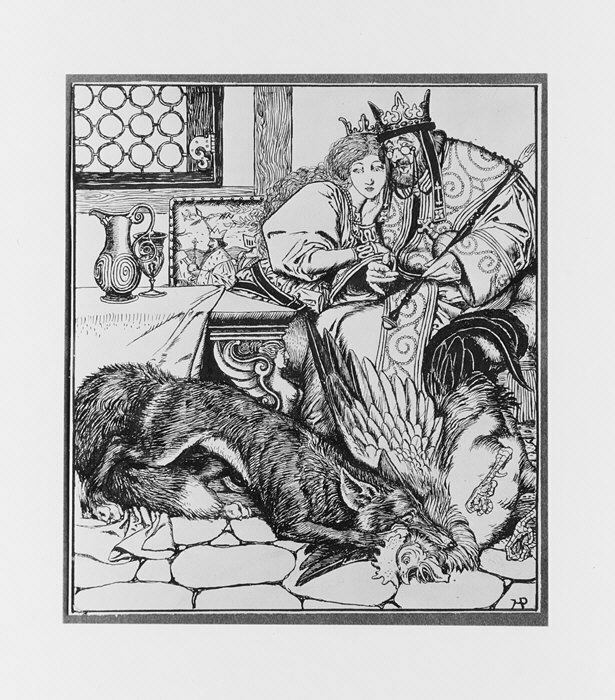 I’ve posted scans of a few of the illustrations as they initially appeared in Harper’s Young People to show the extent of the changes. Some are quite radical since Pyle began illustrating the stories in his Pepper and Salt style - more “vignette-y” with floating banners - but eventually switched to a square format with blackletter titles. And when he began preparing the pictures for the book he made them all uniform. 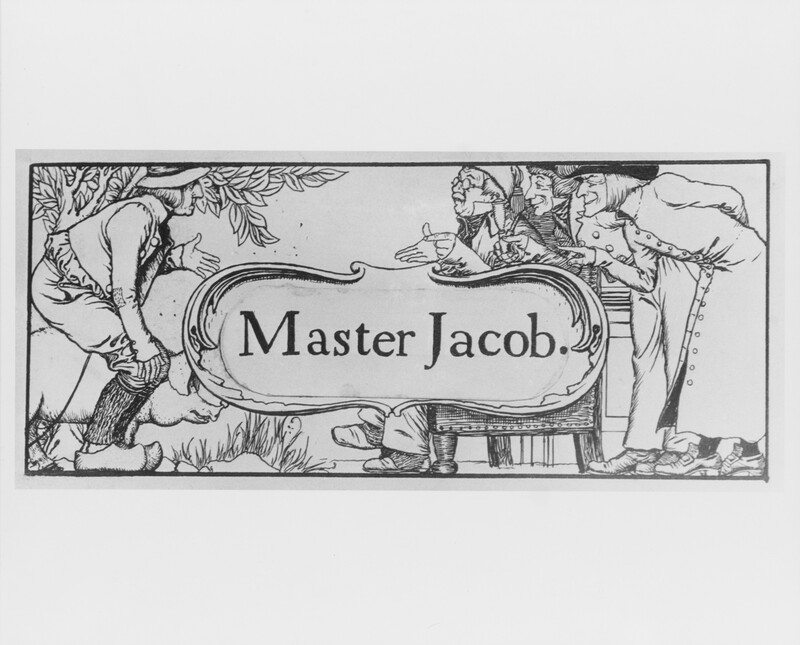 I’ve already pointed out that Pyle altered the title of “Master Jacob” - but here you can see that he pasted his new lettering onto the original drawing. Three of the Met’s originals come from the “The Clever Student and the Master of Black Arts” which initially appeared (with “Black Arts” hyphenated) in Harper’s Young People for February 23, 1886. 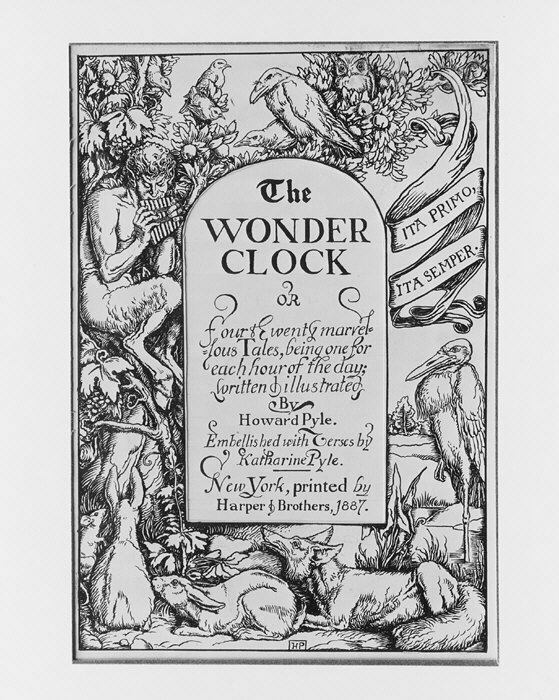 Pyle must have drawn them in late 1885, then altered them for use in The Wonder Clock in early 1887. A memorandum book in the Harper and Brothers Archive shows that he delivered these revisions to art editor Charles Parsons on March 5, 1887. “The Princess walking beside the Sea” (above) in Harper’s Young People became “A Princess walks beside ye water, into whose basket leaps ye ring” in The Wonder Clock (below). 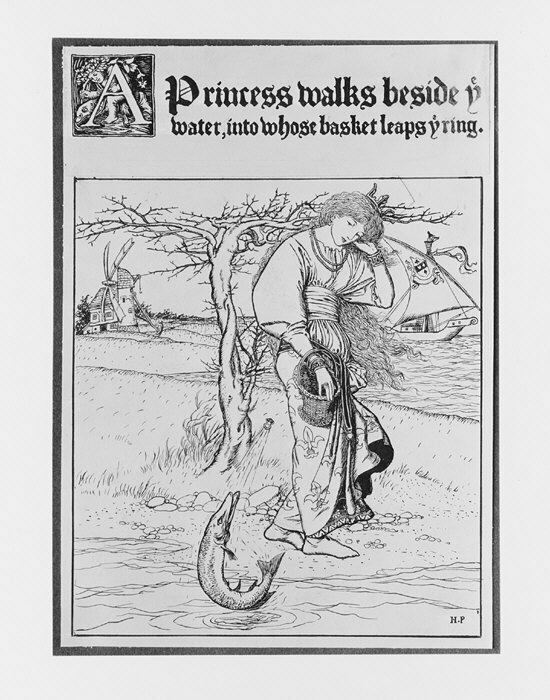 Apart from the title, note what Pyle did to the princess’ crown. 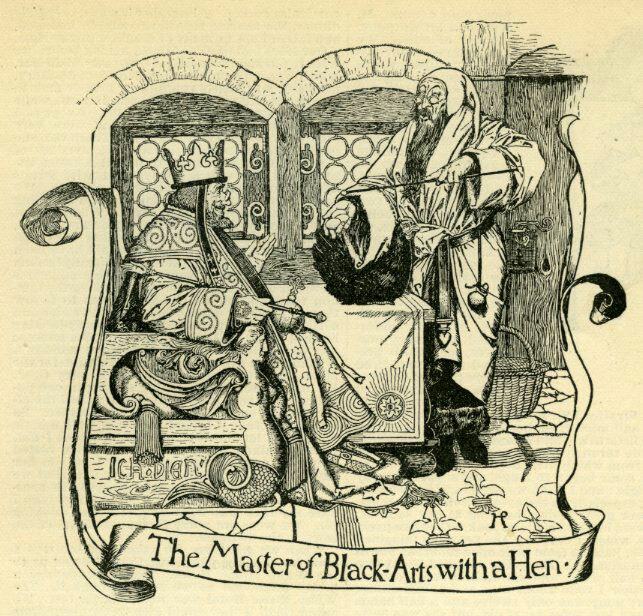 “The Master of Black-Arts with a Hen” in Harper’s Young People became “The Master of Black Arts bringeth a curious little Black Hen to the King” in The Wonder Clock. 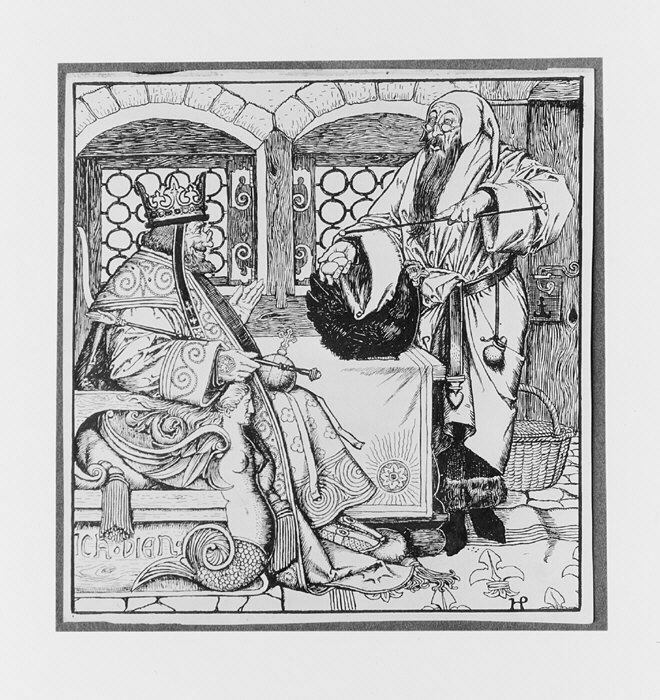 Who knows where the blackletter title with an illustrated initial went to. 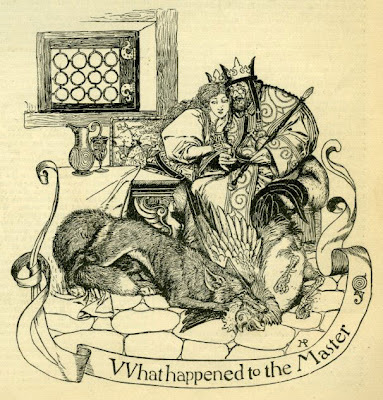 And “What happened to the Master” in Harper’s Young People became “What happened to the Master of Black Arts after all his tricks” in The Wonder Clock. Finally, “The Princess and the Pigeons” (above) from Pyle’s story “Mother Hildegarde” in Harper’s Young People for May 25, 1886, became “The Princess dwells in the oak tree where ye wild pigeons come to feed her” in The Wonder Clock. 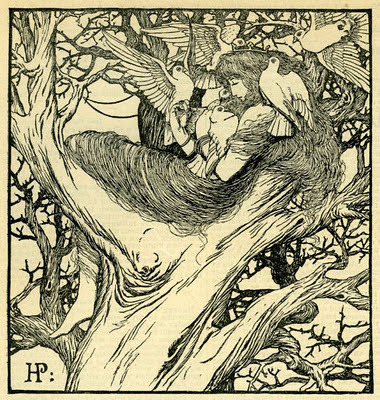 As far as I can tell, Pyle only altered his initials - and the title - in this one. 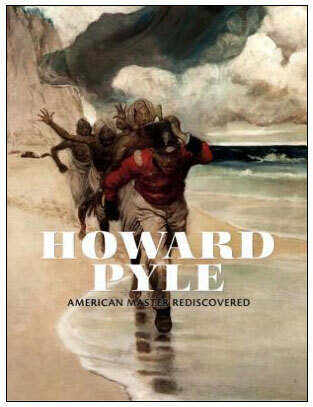 What Did Howard Pyle Die Of?